After you’ve worn custom, you may never feel the same in off-the-rack clothing again. But that isn’t the only change: you might detect some idiosyncrasies in the clothing worn by others that you’ve never noticed before (if so, you can give them a hand through our referral program). These are the things you can’t unsee when you go custom. What’s that hanging off the shoulder? Well, it’s not the wearer’s shoulder: they’ve just chosen a jacket one (or more) sizes too big for their own shoulders, and that extra fabric has no where else to go. It’s common for guys to go up a suit jacket size off-the-rack so that the sleeve will fit them, but custom-made suit jackets will be tailored to fit the shoulder and sleeve of the wearer so that you’ll never have to choose between the two again. 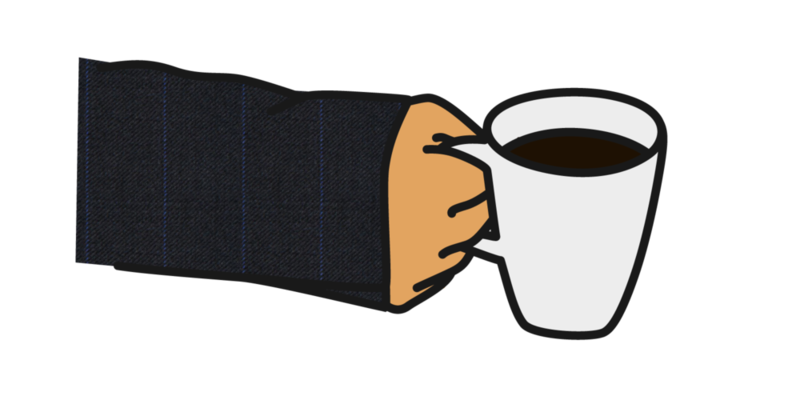 A sleeve that hangs down to the middle of the hand or beyond is often the inverse of the above scenario: in order to get a suit jacket that fit them in the chest and shoulders, the wearer wound up with overly long sleeves that won’t show any cuff (and are forever in danger of slipping into coffee cups). Off-the-rack suit trousers are typically sold long so that they can be hemmed, but they’re often worn with extra fabric that bunches up above the shoe and creates a “balloon” effect at the ankle. Whether they end in a cuff or a break, custom trousers made for your own length will create a clean line that isn’t broken up by surplus fabric. The rolled shirt sleeve look is popular in spring and summer for good reason. Aside from helping the wearer keep cool, it also carries a certain casual nonchalance. But sometimes sleeves aren’t being rolled for the sake of weather or style. If the wearer has bought a smaller size that fits them in the body but is too short in the sleeve, rolling could be by necessity. It may be hard to spot a too-short sleeve when it’s been rolled, but the tell is whether the shoulder of their shirt ends before the wearer’s own.